Today is Opening Day, the first day of baseball season. Opening Day means spring — real spring, not this chilly aboration we’re experiencing, but real spring — is finally here. Opening Day is also as good excuse as any to talk about what is surely one of the niftiest — and most ill-conceived — promotions in minor-league baseball history, and it happened in the town where I grew up. I’m from a place called Paintsville, Kentucky, population 3,800 in 1980. Paintsville is about 2 hours east of Lexington and about an hour south of the nearest interstate highway. Paintsville isn’t on anyone’s way anywhere, but, in 1978, thanks to the efforts of Paul Fyffe, who owned the town’s only radio station, it landed a minor-league baseball team. 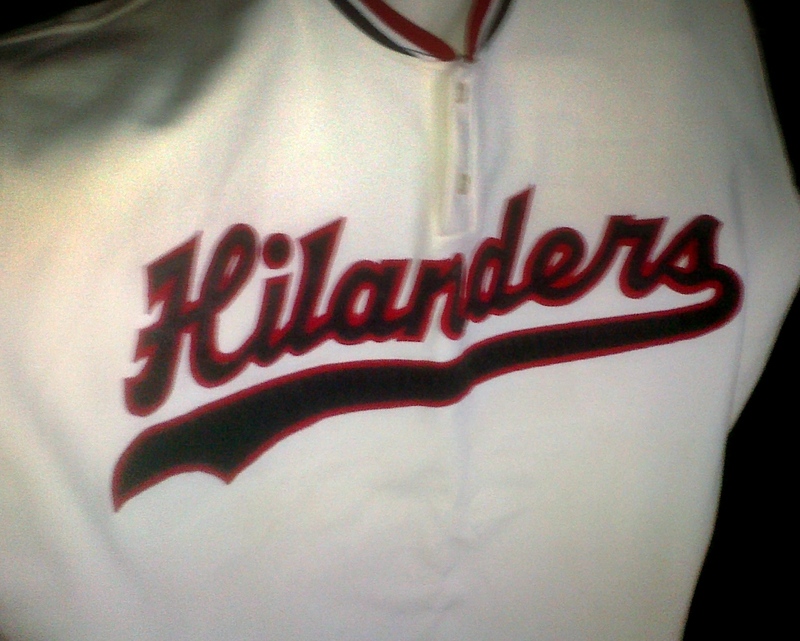 Originally called the Hilanders, it soon became the Appalachian League’s Yankees’ affiliate. In the summer of 1980, Darryl Strawberry signed with the Yankees arch rivals, the New York Mets, and he began his career down in Kingsport, Tennessee. Darryl Strawberry was already a star, a kid everyone knew would make the Hall of Fame someday, and, as luck would have it, he would play his first professional baseball game in Paintsville. Paul Fyffe was a good businessman, and he saw this is a great way to get folks out to the ballpark. You could get in free if you brought a strawberry to the game, the concession stand sold nothing but strawberry pop, and Paul hired a helicopter to drop strawberries onto the field. The game was a sellout, but, remember, we were the Yankees, and Darryl Strawberry was signed with the New York Mets, so when George Steinbrenner read in The Sporting News about his Rookie League team in eastern Kentucky throwing a big party for a kid who’d signed with the Mets, he had a conniption, and word was that he threatened to pull the team out of Paintsville on the spot. When the Yankees finally left, Paul brought in the Brewers, but they lasted only a couple seasons, and no one came to replace them. Strawberry, of course, wound up working for Steinbrenner and retired from the Yankees in ’99. The high school ballpark where the Yankees played was torn down a few years ago and replaced with a nicer one. We visited my folks last weekend, and when I drove by the school, I missed seeing it. There is something special about opening day. I grew up in St. Louis. I’d rather be at a ballpark or parked in front of the TV right now. I was a kid then, i remember being a guest bat boy. And hanging out behind the stadium to get foul balls. The players would give us cash to go get them hot dogs. Good times. Played for Paintsville in 1981 for manager Mike Easom. Paul and Doug were super people! Glad you found the post! It’s a real shame people in Paintsville didn’t support the team more. I mean, they had Max Patkin out there once, for crying out loud. Those stands should have been packed every night. I didn’t know you’d been in radio, Todd…I met my ex-husband at school where I was training to be a Broadcast Journalist and he was in Radio Broadcasting. We both dropped out when he landed a radio job in Newfoundland. He stayed in “the business” but I never really went into it. When I was growing up in Cleveland, opening day was the best day of the year (and season, usually)! Just curious: Do they play baseball in your part of the world, at any level? There is something magical about hearing a baseball game. It may be because in today’s busy world baseball moves along at its own pace. The busier I get, the more I like baseball. Todd: I was there when Paul B. Hall threw out the first ball in ’78. I also was there when they closed the joint. Toward the end, there were only 7 people attending the games: me, John David Preston and his wife, Mary; Dr. Blair and couple other guys. Doug Orr did play-by-play for Paul Fyffe and, at times, it was the only voice in the ballpark; we usually sat next top the pressbox to find out the names of the players because, after a while, they discontinued selling programs. The killing blow probably was the huge crowd every night next door at the Little League field where parents chose to watch their kids rather than future MLB players. I like listening to baseball on radio, too, Todd, but Marty’s son, Thom, has pretty much spoiled the experience for me. He’s awful. How about a list of the most irritating sports broadcasters, starting — for me — with Joe Buck, hard on the heels of…? Hi, Lee! Yeah, I remember driving by the stands and seeing only a handful of people in the stands. I couldn’t se Doc Blair, but I could hear him on the radio. He’d sit right underneath the broadcast booth and yell, “THROW STRIKES, REGGIE!” I don’t remember who Reggie was or whether he ever got to the bigs. I always thought one of the things that hurt it was that the coal companies would have these big promotions where everyone would get in free; if you knew you could get in free in a couple weeks, why would you pay $3 today? Now, if they’d called the team the Wildcats instead of the Yankees, that might have helped…. This is one of the first years that I haven’t made a point out of watching opening day. Maybe I’m just pruning my sports tree. I watched a little baseball when I got home last night. It was cold and dreary here, but watching baseball, I was like, summer’s gonna be here soon, and all is right with the world. I was a Yankees fan growing up. The highlight of my Yankee fandom came in the early ’80s (I think it was ’81), when the Yankees played the Phillies in the Louisiana Superdome as a spring training game right before the season started. In one game, I got to cheer the pitching prowess of Ron Guidry and boo the arrogance of Pete Rose (and watch him steal second base.) After a stint in Lakeland, Fla., and dozens of spring training games, I became a Tigers fan. I can’t wait for the Sounds opener next week against the New Orleans Zephyrs. Play Ball. Great story. I love these kinds of anecdotes about small town baseball. Love me some baseball talk. I love nostalgia and the game plays nicely on that. Cool post. I hadn’t heard of Paintsville but like the way you recount the tale. There’s absolutely no reason you should have heard of Paintsville. Tsk, tsk. Todd, Todd…any former reporter should know you should never put anything in writing that can come back, years later, and jump on your back. Now, look what you’ve done. You’ve just ruined your chances of ever being elected mayor of Paintsville. Awesome story, I remember the first game well, as well as all of the first season. What a great time for baseball and Paintsville! Paul was my papaw and I hadn’t heard this story since I was a child. You never know what a Google search will bring. Thank you so much for sharing this post! Glad you found the post and glad you liked it. Paul hired me to work at WSIP my freshman year. I worked there all through high school. He was a good guy. My kids can’t believe that Paintsville had Minor League Baseball. Getting the Yankees was a minor miracle. Glad to have found this blog, Todd. I played for the Hilanders in 1978, and it was a great summer in Paintsville. I write a few different blogs, and one of them is called “Bob On Baseball” for our family charity. Here’s the installment that contains most of my memories from that fantastic summer in the Appalachian League. I’m glad you found it, too, because, otherwise, I probably wouldn’t have seen your post about your summer in Paintsville. The ball park is gone, but Wilma’s and Giovanni’s are still there!